I’m back! And I have a new blog. I’m new to WordPress so bare with me. I am trying to keep it simple. Feedback is always appreciated so don’t hesitate to contact me. The Norway tour was everything I had hoped for. I left home with a three day notice, expecting to spend two weeks in Northern Norway. I was traveling with Rami and Liisa. 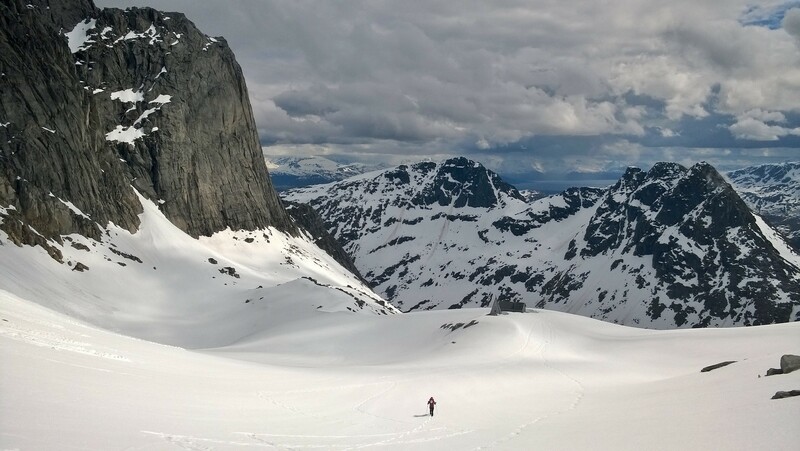 We brought gear for climbing and ski touring. Two weeks later, I found myself in Nissedal in Southern Norway. First we drove from Tampere to Kvaløya. Kvaløya is an island right next to Trømso, Norway. 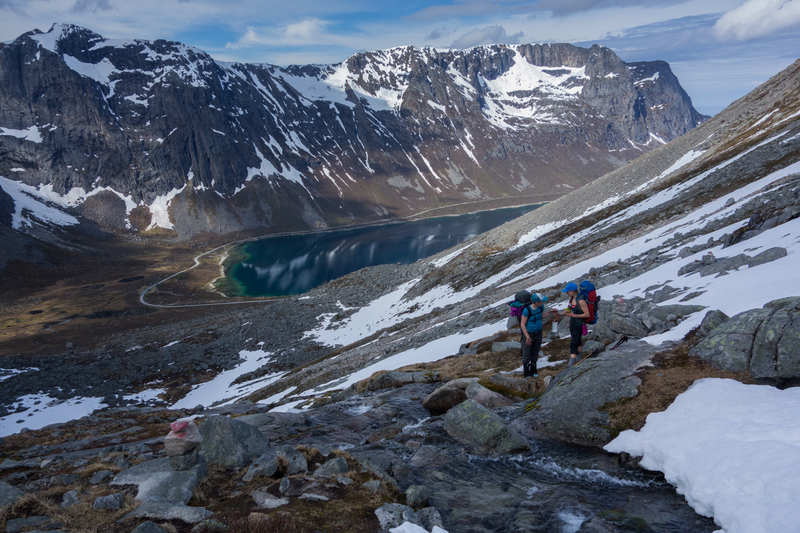 Kvaløya provides a great playground for activities such as ski touring, climbing, bouldering, hiking, running, fishing and mountain biking. If you link well, you can do it all in one day. The clear blue sky was greeting us in Norway. 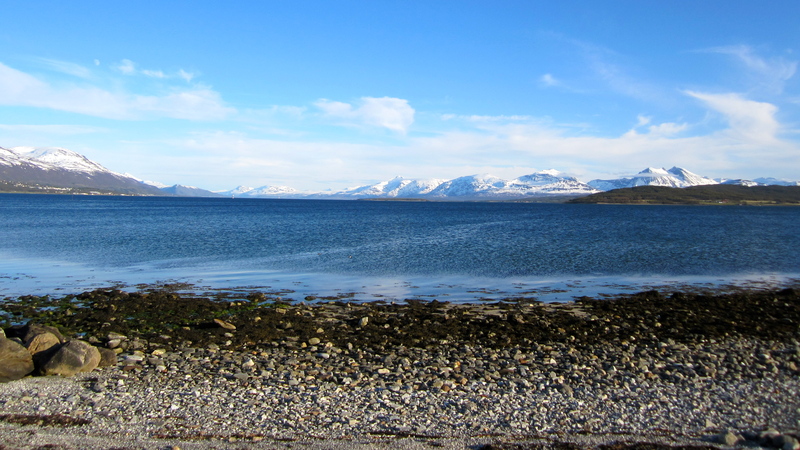 This is a beach somewhere between Trømso and Kvaløya. I’ve wanted to go to Kvaløya since last summer. I went climbing in Lofoten while Rami and Lauri went to Baugen and Blåmannen. After hearing their stories and seeing their photos I realized Baugen is where I want to go next. Our main goal was to climb in Baugen. 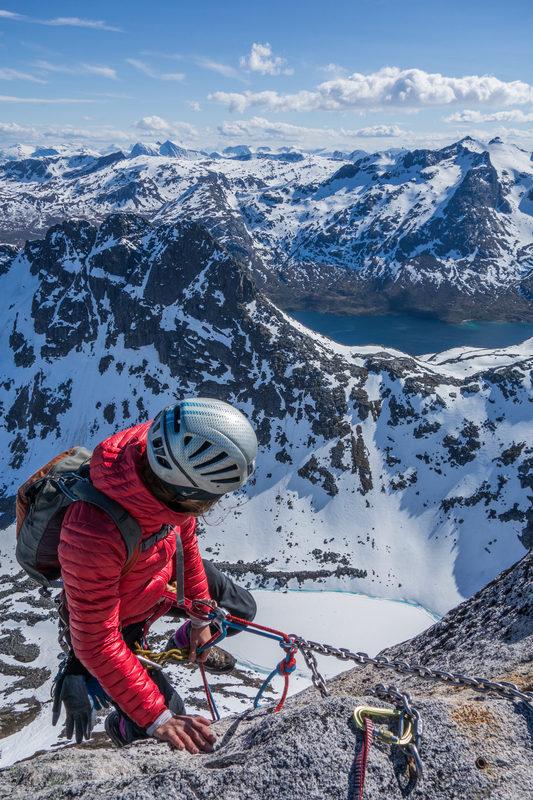 Baugen is a part of the Hollenderan mountain range, the historical epicenter of the Kvaløya climbing, as the Kvaløya – Selected climbs describes it. 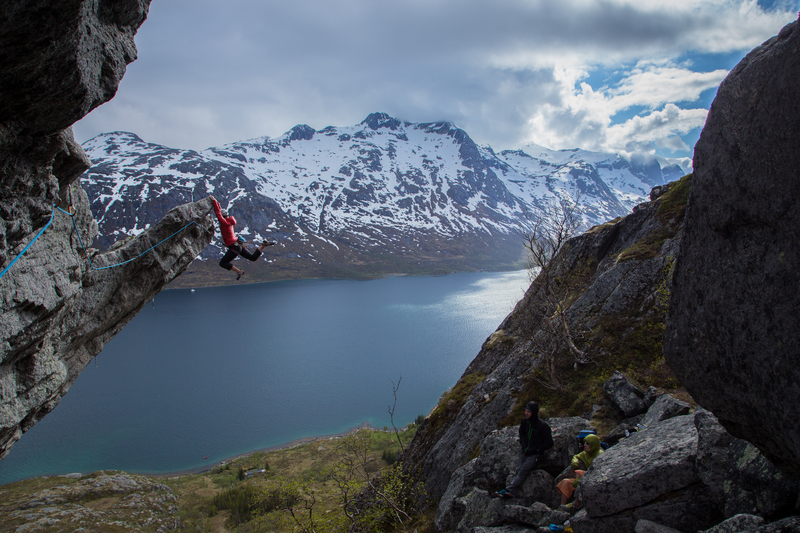 Baugen is the alpine climbing venue in Scandinavia. 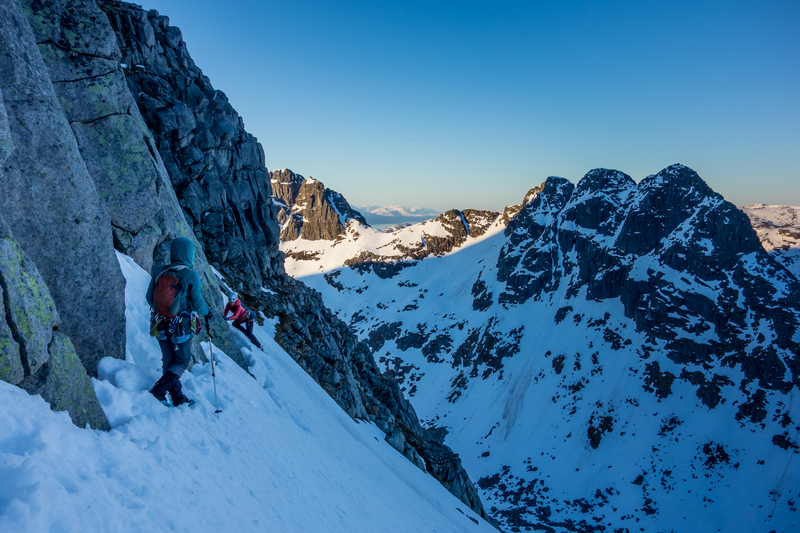 The wall consists of about 20 sustained 250-350 meter routes, in the 5.10 to 5.12 range. Plus the variations. The view from the approach. 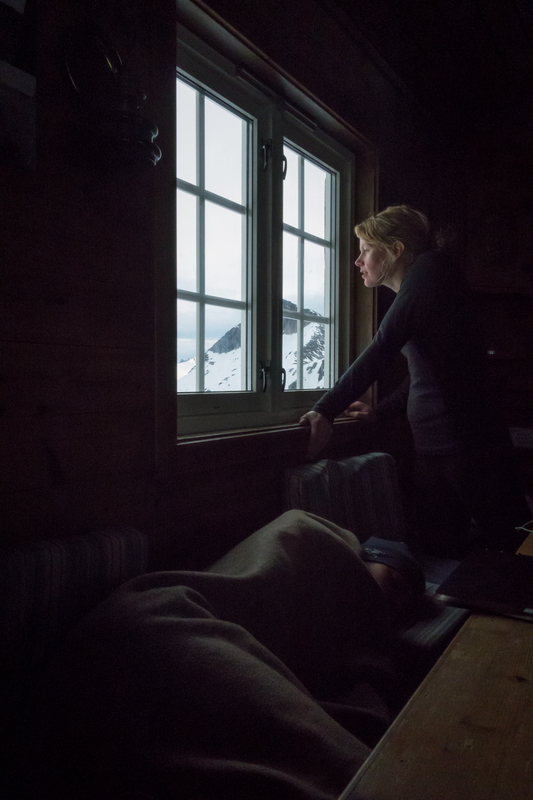 The Baugen hut is conveniently located a ten minute hike, or a two minute ski away from the climbing. 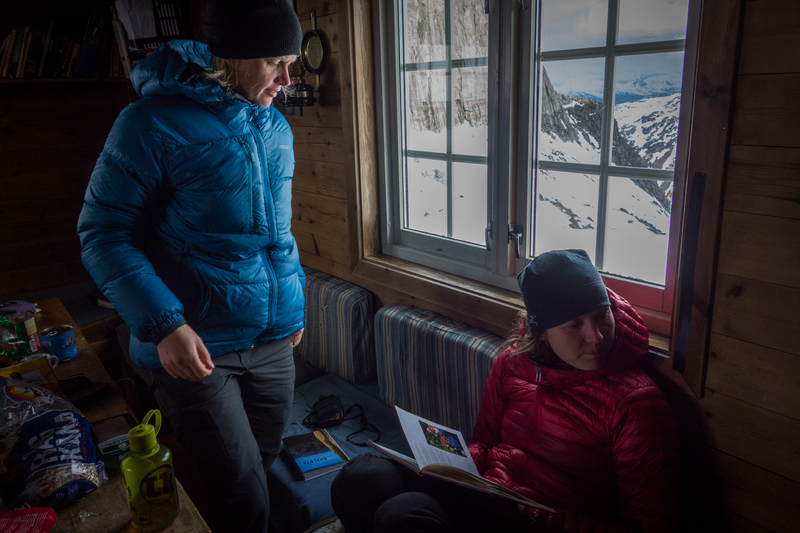 The Baugen hut is run by the Trømso climbing club. It is the cutest and best equipped hut I have stayed in. Wine glasses and slippers are included! First day we hiked in (3 hours) and went climbing in the evening (more hours than I care to admit). We were back at the hut around 3am. The climbing was excellent, just as promised. 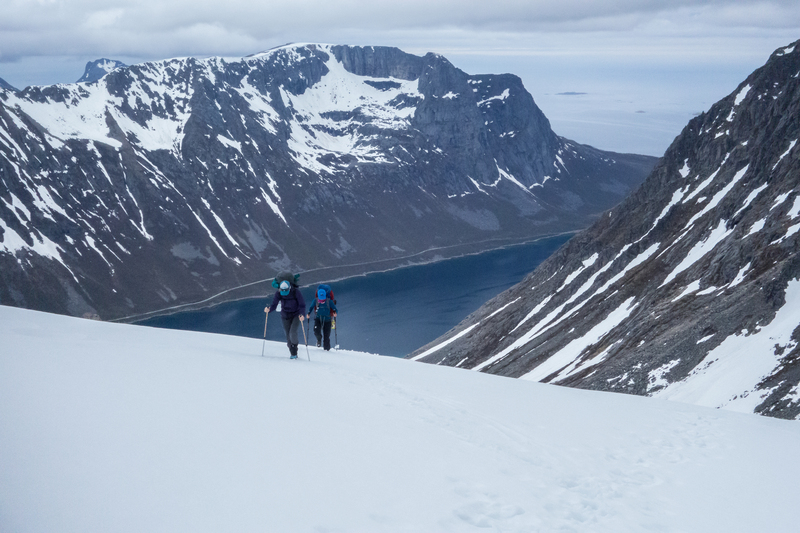 We climbed Baugsprydet (6-/6) and Vårrusen (5-). As much as I love climbing in the mountains, I don’t feel shame in admitting, that the climbing is scary up there. 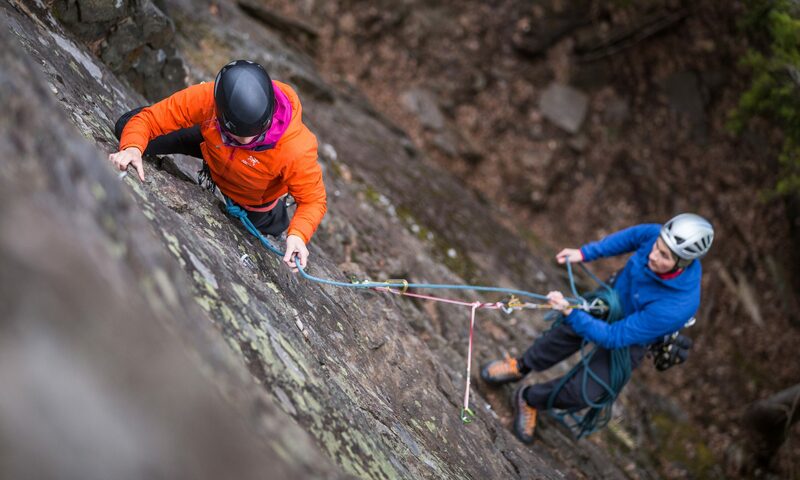 Even if I say I enjoyed climbing a route, I most certainly experienced moments of discomfort during the day. I remember a time, not long ago, when I was blissfully unaware of things that can go wrong. The North is s great place to practice, because during the summer months, the sun never goes down. Say no for getting benighted, hurray! 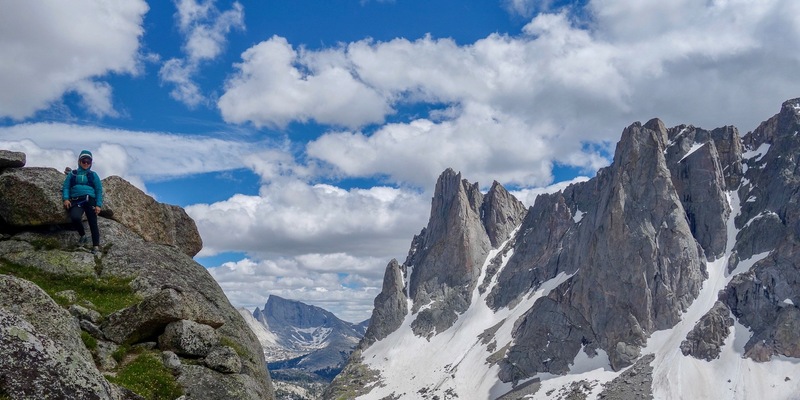 For me, alpine climbing is the most empowering and exciting form of climbing. Someone asked me why. Why do you do this? Aren’t there challenges here, somewhere closer to home? The very fact that someone asks me this question, tells me, that there is no point in trying to explain why. 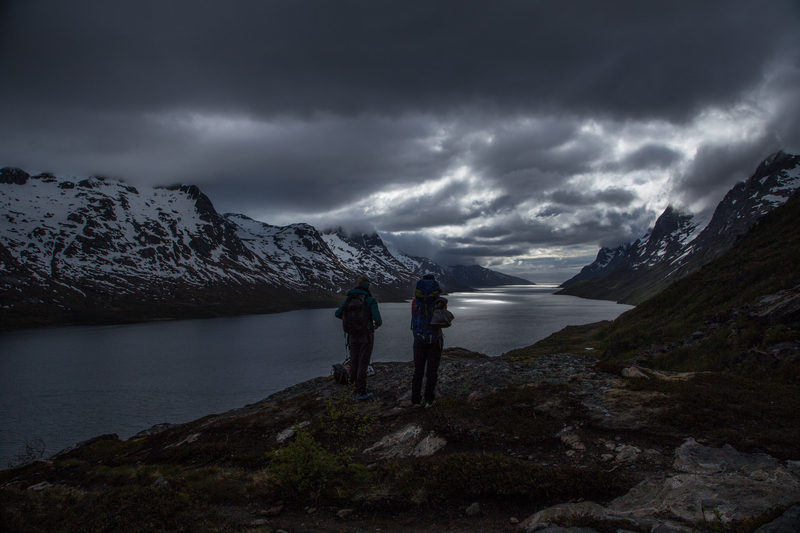 A week spent in the Kvaløya island gave me just a tiny a glimpse of what it has to offer. I can’t wait to go back!